Cable length is 3 feet. I'm so confused! The arduino has a 2.1mm jack and this is 5.5! What?! The sizes may refer to the outer (5.5mm) and inner (2.1mm) diameters. Not really. You're really going to need a Y-splitter for that. When the beagleboard is fully operational (especially with a webcam and usb stick on it) it'll draw more than 500mA (more than 1 usb host can deliver). I am unsuccessfully trying to power the Olimex 40 pin AVR board with this adapter. The chip is an Atmega32. The adapter is not supplying enough power. 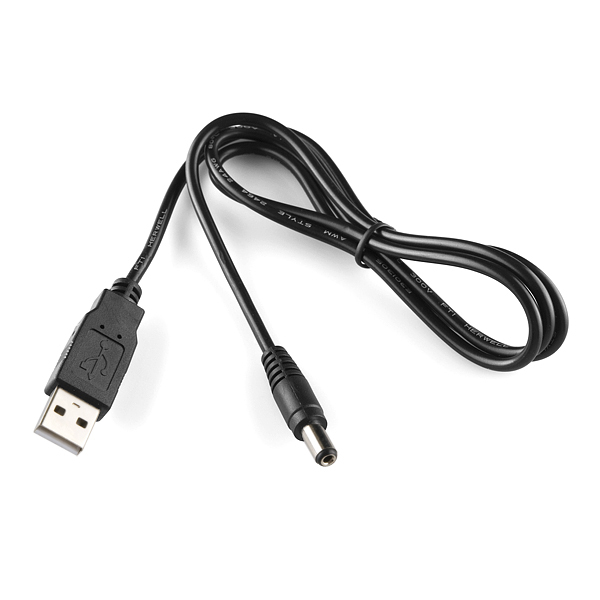 Purchased several of these and have tried each cable individually with multiple usb ports on different computers (yes, different computer models and manufacturers). Has anyone successfully had these work with the Olimex 40 or 28 pin boards, 40 pin chip Atmega32, 28 pin chip Atmega 328? Will these be back in stock soon?